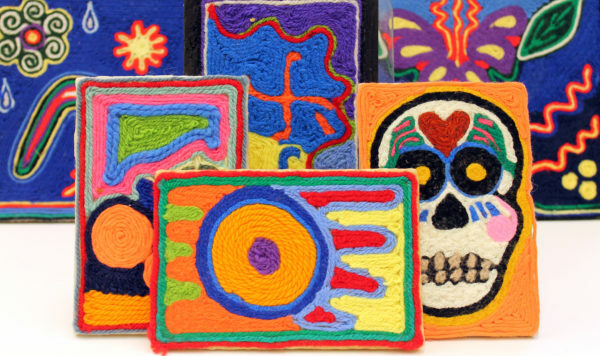 The Huichol (Whet-chol) people of northwest Mexico have an oral tradition and document their wisdom through their artwork made of wood, beeswax and yarn. Students will use bright, contrasting colours of yarn to express meaning through traditional symbols such as people, animals and nature. Symmetry, balance and geometric designs will be explored.